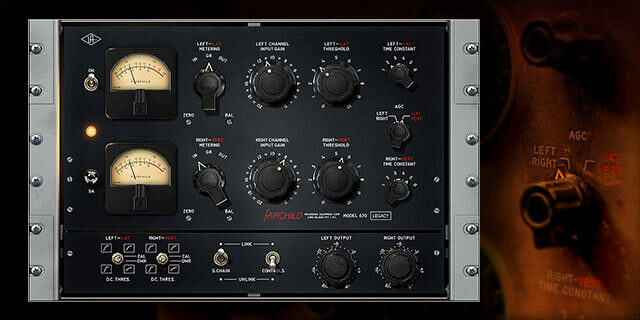 Probably the most famous FET compressor out there, the 1176 is suitable for vocals, bass, drum overheads, guitars, synths... you name it. It will crunch up if you drive it and works wonders if you parallel it on vocals or layered backing vocals for some extra bite. 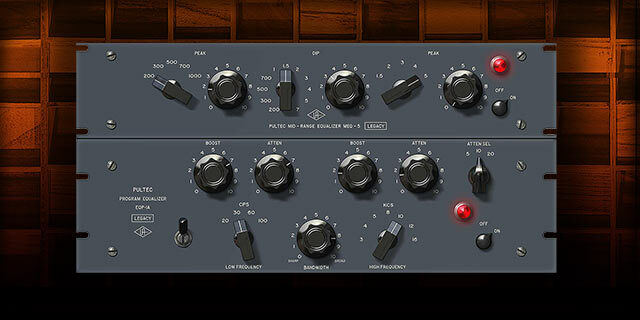 Probably the most famous optical compressor out there! 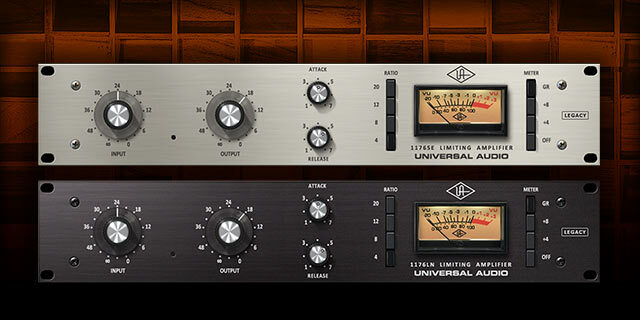 The Teletronix LA-2A has been the staple vocal compressor for years (sometimes using it in series through an 1176 as well). 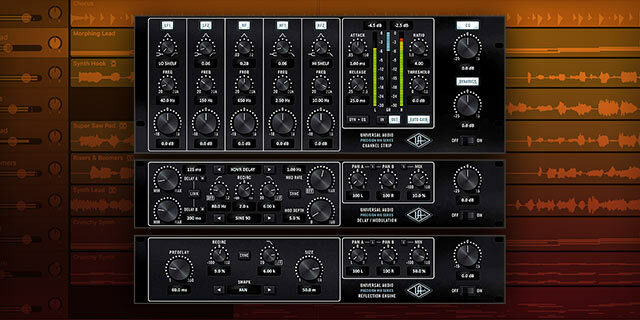 Perfect for getting those vocals to sound the way they should. With a very simple layout, you'll probably end up using it on many instruments as it's so easy to get it sounding great! You're no doubt familiar with Pultec EQ's, but until you've done the EQP-1A "boost and attenuate at the same time" trick you may not have realised how often you'll want to end up using them! The EQP-1A is equally happy on individual tracks as across the mix bus or sub groups - and alongside the MEQ-5 Midrange EQ you've got warm tube EQ for all styles of music production. 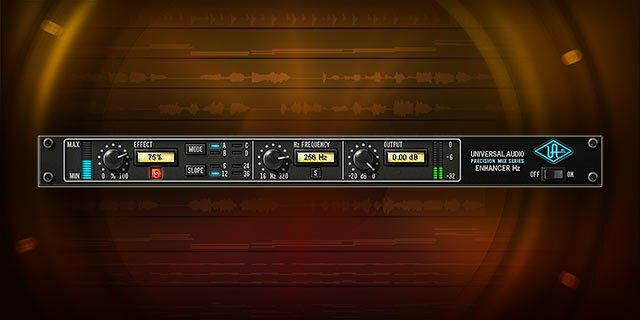 Designed by UA themselves the Mix Rack Collection features the Precision Channel Strip with 5-band EQ and nice clean dynamics, Precision Refection Engine and Precision Delay Modulation featuring Chorus, Flanger and Delay plug-ins. Really low DSP usage as well. 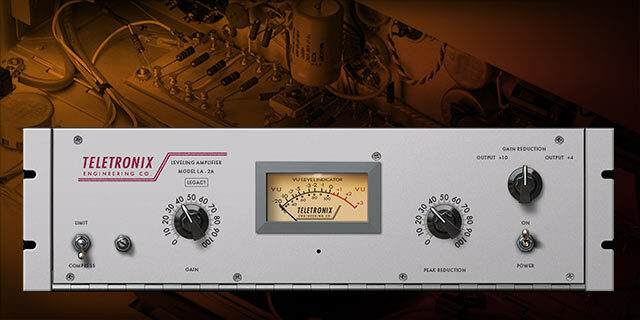 The UA 610-B Tube Preamp uses Universal Audio's Unison technology to add the emulation of the 610-B tube amplifier, signal path and transformers to your signal whilst tracking or re-amping. It's like having your own vintage console in the box! Recorded at KORE Studios in London by engineer Tony Platt (who recorded AC/DC's Back In Black), this is the Sound Of Rock. 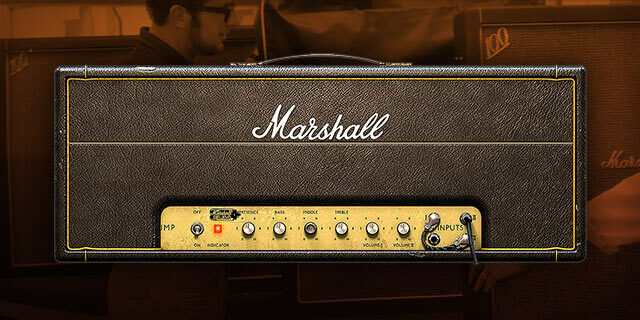 Made famous and used by Hendrix, Clapton and Page the Universal Audio version was developed by Softube. Gives you that grit and and punch with the option for mic blending between 7 mic placements and types : FET, Valve and Dynamic. 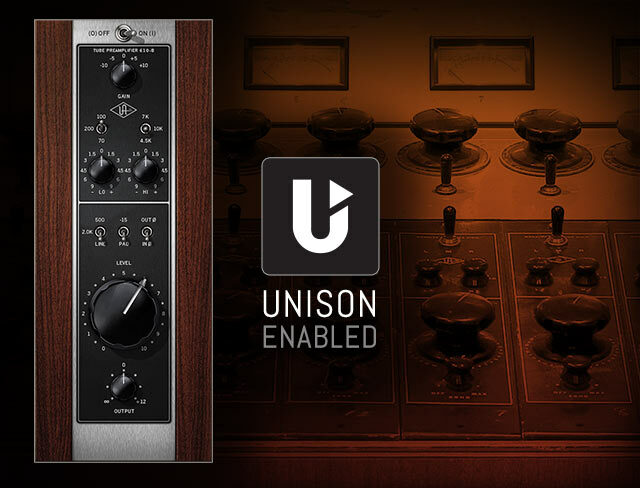 Use the Unison Technology to track through this classic with no latency. 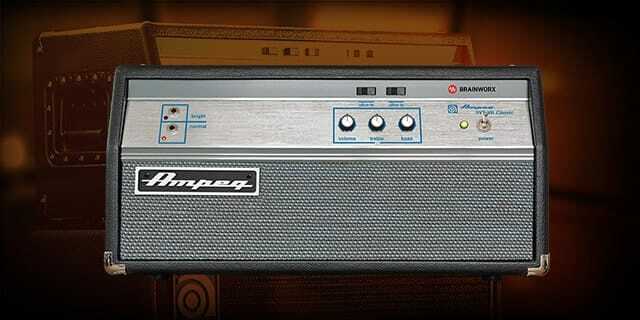 For those who want the "classic bass amp" to partner their "classic guitar amp" then look no further than the 1969 Ampeg SVT-VR. Suitable for all genres of and capable of using the Unison technology, this is one bass amp that will cut through a mix or re-amp dull lifeless parts easily. 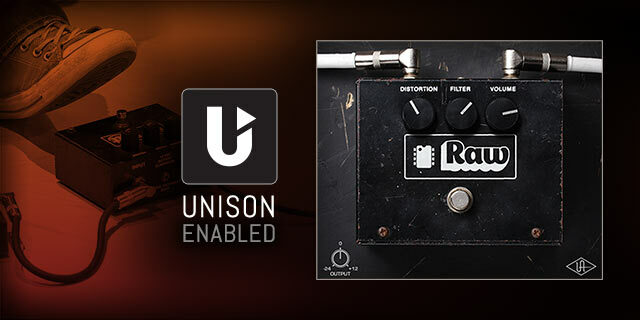 Based on the original 1980's RAT Pro Co Distortion the RAW is a faithful version of this classic guitar pedal, and by using the Unison technology you can just plug-in and play. Instantly taking you back to this vintage rock moment in time! 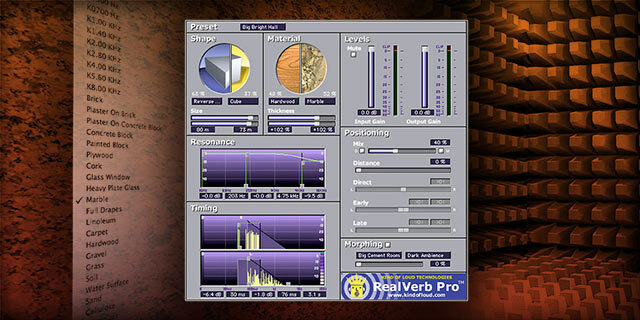 Ok, it's been out a while now, and yes there are probably more fancy and full-on Reverbs out there, but there still is some charm about the sound of RealVerb Pro, and it comes bundled with the UA Interfaces so why not check it out, easy to edit and navigate - and of course it's FREE!